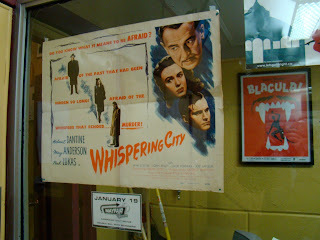 7pm Whispering City, 1946, Directed by Fedor Ozep, 91mins, 1.37, mono, Rated PG, 35mm new archival Black and White print. Whispering City is a film noir mystery set in Quebec City in the late 1940's. Directed by Russian-born director Fédor Ozep (also known as Fyodor Otsep), English and French versions were produced with different casts at the same time (in French it was called La Forteresse). A modest hit at the time, Whispering City very effectively uses Quebec City as a dramatic setting, taking advantage of the city's long history and imposing architecture to heighten the suspense and add visual interest. 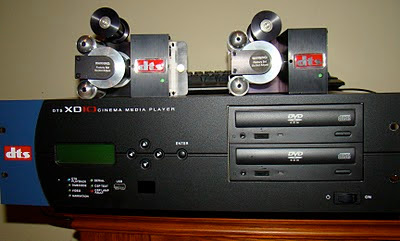 The film is also notable for its excellent musical score. 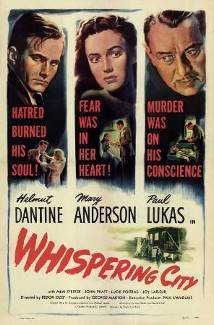 Starring Mary Anderson (from Alfred Hitchcock's Lifeboat) and Paul Lukas (20,000 Leagues Under the Sea, and Best Actor Oscar-winner from 1943's Watch on the Rhine). 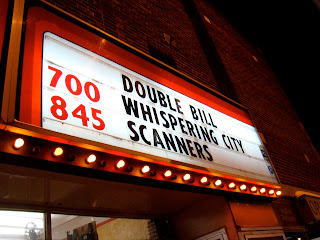 For more on this Quebec Noir double bill see John's writeup in Unfolding. 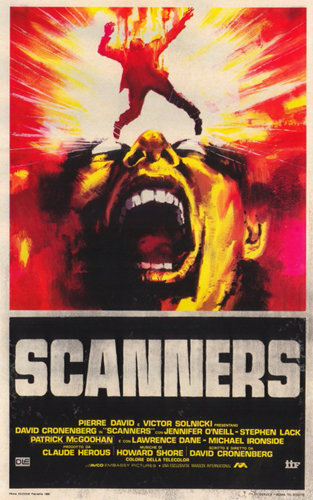 8:45pm Scanners, 1981, 35mm print, Rated R, directed by David Cronenberg, the print is supplied by the Library and Archives Canada. How best to describe Cronenberg’s tale of an underground organization of people with telepathic abilities bent on taking over the world? 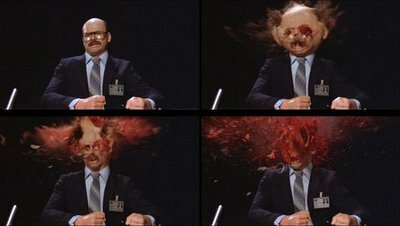 How about "mind-blowing"?